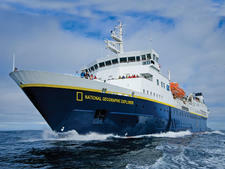 Lindblad's National Geographic Orion, which joined the fleet in 2014, was originally built in 2003 as a luxury expedition vessel and the combination of the gorgeous nautical decor, upmarket services (such as massage and a gym), high-quality cuisine and expedition-/adventure-programs and explorations is a huge win. 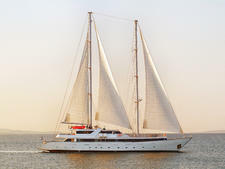 Orion is ideal for regular cruisers who may be looking to vary their repertoire with a dash of adventure and reach some destinations unsuitable for larger vessels. 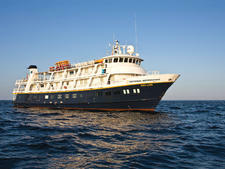 Expedition purists may once have seen Orion, which originally sailed for the one-ship Orion Expeditions, as more luxurious -- with large cabins, a pretty lounge, a sun deck with hot tub and a lovely restaurant -- than they expected. But don't let its pretty trappings fool you: It's got all the expedition tools, from Zodiacs to bicycles that are hoisted down by crane. 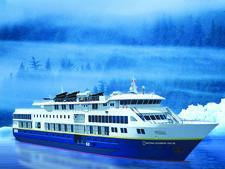 In addition, after it acquired National Geographic Orion, Lindblad invested in upgrading the ship's technology, adding an ice-strengthened hull along with retractable stabilizers, sonar and radar. 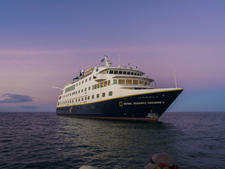 Most of the crew who'd worked for the ship under its Orion ownership have stayed on with Lindblad. Tenure onboard averaged between five and 10 years, and as a result of clearly feeling passionate about this particular ship, the crew was superb -- dedicated, professional and charming. 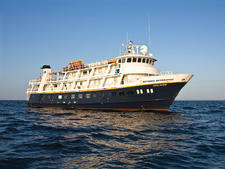 If it's your first time on Lindblad, you may be bowled over, if not a bit intimidated, by the exuberance of its very passionate repeaters. Many wear logowear from other trips. 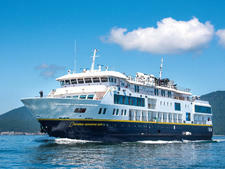 It can feel like old school week, as repeaters, who on our trip represented well over 50 percent, already know each other, having bonded on voyages to the exotic destinations that Lindblad's famous for. The feeling of strangeness doesn't last long though. All that's needed to feel like a member of the Lindblad club is an insatiable curiosity about the world and traveling, an adventurous spirit and the willingness to try new adventures. 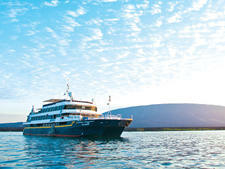 Lindblad Expeditions attracts passengers primarily from North America, comprising a majority of older, well-traveled active couples and solos. It's made inroads as well in appealing to the family and multigenerational market, particularly for its summertime Baltic and Western Europe explorations. While most passengers like to dress resort casual in the evening, Orion has a largely informal, but neat, dress code. It might be wise to pack one smart outfit for the Captain's dinner -- perhaps shirts, ties and jackets for men and dressy blouses for ladies. Otherwise, there is little need for formal attire. Daywear is important, not so much from a fashion sense but from a practical point of view for the environmental conditions expected. In the tropics, cool, light and sun-smart is appropriate, comprising long sleeves, wide-brimmed hats, walking shoes and water-friendly sandals like Tevas. In polar destinations, thermal underwear, beanies, fleeces and spray jackets and pants are de rigueur. 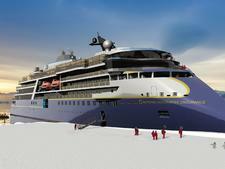 All gratuities ashore and onboard are included. On its Europe itineraries, cocktails are also complimentary, as is wine and beer with lunch and dinner. 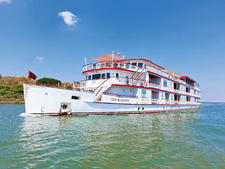 A selection of tours in each port, one almost always an active offering with bicycles or hiking, is included in the cruise fare.